Fashion designer Manish Malhotra has now tried his hand at another kind of designing. 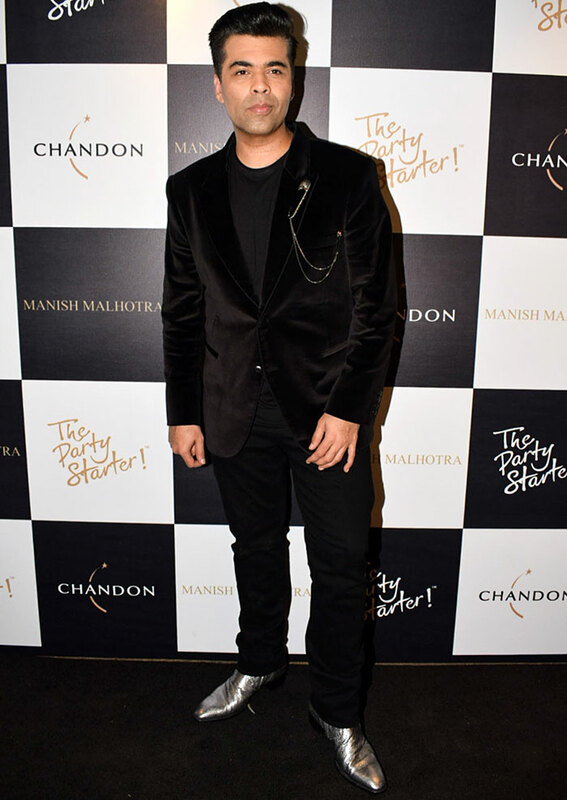 He has joined hands with wine brand Chandon to launch two limited edition bottles designed by him. The launch saw a lot of pretty faces but we missed his best friends. Shamita Shetty and Mouni Roy pose for pictures. Manish Malhotra with Raveena Tandon. Manish Malhotra's BFF Karan Johar. Noticed his shoes? They're fab! We last saw Pooja Hegde in Mohenjo Daro. Shibani Dandekar and Monica Dogra carry forward their friendship from the sets of their last show together, Fear Factor: Khatron Ke Khiladi Season 8. Kung Fu Yoga actress Amyra Dastur. Sonali Bendre smiles for the camera. Manish Malhotra's nephew, director Punit Malhotra of I Hate Love Storys fame. Sooraj Pancholi will be seen in Hate Story 4 next. Freddy Daruwala of Holiday fame. Abbas's son Mustafa (of Abbas-Mustan fame) who debuted in Machine, arrives. Parineeti Chopra's AWESOME Australian holiday! Sushmita, Jacqueline, Sunny: Who's the hottest this week?